A cathartic 20-minute experience in the form of a concept EP inspired by things happening around us at this very moment, and the future that does not look that bright for mankind, brought forth by the Finnish propagators of “Dööm Metal”. There’s a wicked phenomenon that has been happening once a year in the city of “Hellsinki”, Finland for the past few years, when a trio of ill-tempered creatures that goes by the uncanny name of Dö leaves their secret, somber den to unleash upon us mere mortals all their wrath and negativity in the form of raw Doom and Stoner Metal, or simply “Dööm Metal”, as christened by Dö themselves. It first happened in 2014 with the release of their self-titled EP, then again in 2015 with an EP titled Den, and once again in 2016 with the full-length Tuho. Now in 2017 it’s time for this eerie tradition (or perhaps I should call it an annual ritual) to strike us again with the release of their brand new scathing EP Astral: Death/Birth. Featuring a minimalist but meaningful cover art by the band’s own guitarist Big Dog, Astral: Death/Birth brings all the traditional elements found in their previous albums without forgetting to move forward in their already solid career. “Over a year has passed since we released Tuho, and now we’re back with a brand new two song EP called Astral: Death/Birth. It’s a concept EP inspired by things happening around us at this very moment, and the future that does not look that bright for mankind. The songs were recorded live during one session at our rehearsal den, as we wanted to capture the intensive live feeling and maintain their roughness. 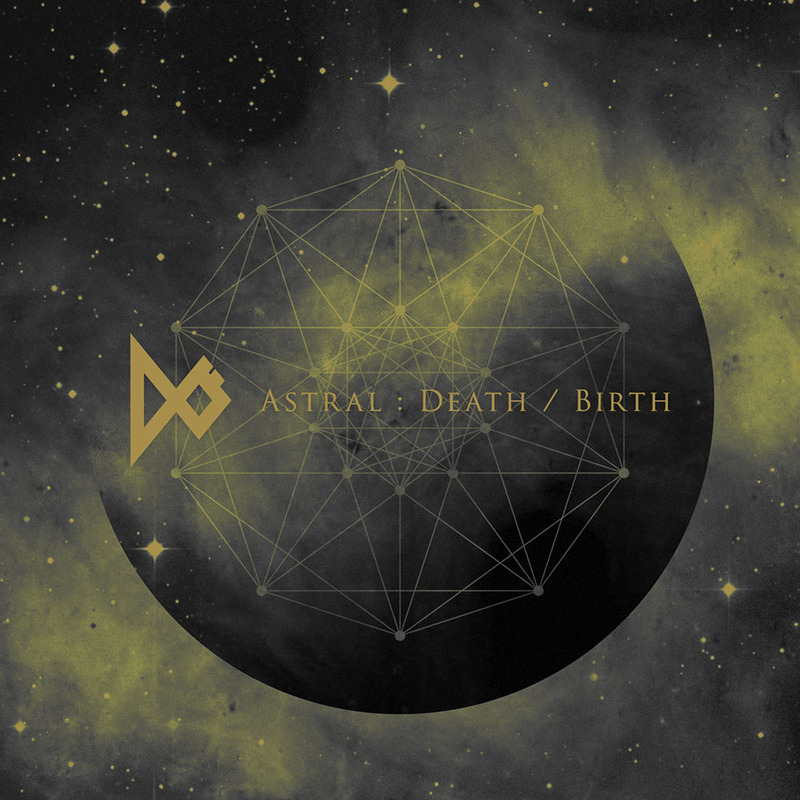 The tracks are basically individual, but we highly recommend you to enjoy Astral: Death/Birth as one cathartic 20 minute experience”, said the band about the album. I guess I don’t need to say more, right? Just relax and join Dö in their doomed astral voyage of life and death, feeling every second of their coarse sounds penetrating deep into your mind. One interesting fact about the EP is that the band itself has already provided their own “review” of each one of the two songs. 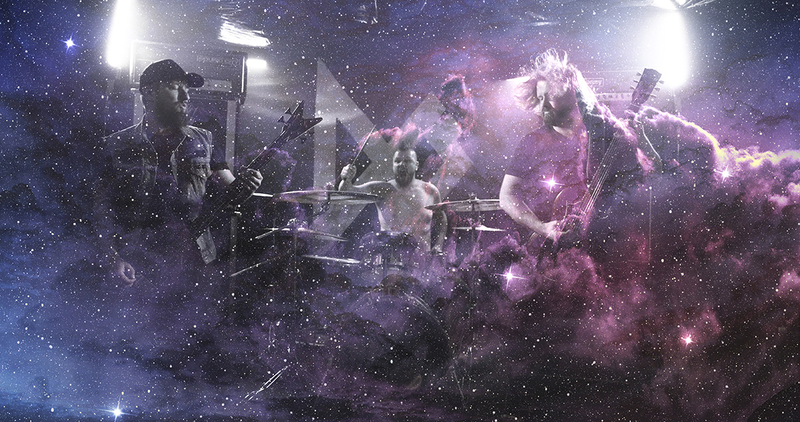 According to Dö, the first track of the EP, titled Astral Death, is “a song that’s heavy as the burden we carry with us when scuffing towards the inevitable end”, and let’s say they’re spot-on with their description of this tune perfect for breaking your already damaged neck into pieces. The distorted guitar lines by Big Dog, together with the damned drums by Joe E. Deliverance, kick off this beyond obscure Doom Metal hymn, before reaching a sluggish, heavy feast of demonic riffs that flawlessly support the hellish raspy vocals by Deaf Hank. Moreover, Big Dog blasts one of his traditional guitar solos while Deaf Hank shakes the earth with his ominous bass, resulting in a thrilling thunderstorm of sounds. “A cosmic rebirth in form of a song. Starts as calm, mantra-like levitation, until it transforms into vicious, unstoppable force of nature.” Those are their words to describe the metallic extravaganza titled Astral Birth, where their demented sounds intoxicate the air throughout the song’s 12 minutes of melodious Doom and Stoner Metal. Deaf Hank and Big Dog align their strings powerfully, while Joe fires his steady and rhythmic old school beats. The vocals never get too harsh in the beginning, sounding arcane and hypnotizing, but that lasts for only around four minutes. After a gripping display of dark music, the band’s demonic vein arises again with Deaf Hank gnarling in a bestial way, being effectively complemented by the song’s tribal beats, wicked distortions and pure psychedelia, with all those sounds and noises invading our ears until the song’s harrowing ending. The full EP is already available for a detailed listen on YouTube and on Spotify, and you can always keep updated with all things Dö through their Facebook page as usual. And, of course, you can support the most villainous power trio of the entire Scandinavia by purchasing Astral: Death/Birth through their BandCamp page or on iTunes. Now that their yearly rite of “Dööm Metal” has been successfully consummated, it’s time for Dö to spread their damned sounds across the earth with their live performances before they get back to their lair and start working again on new material, for the delight of admirers of obscure, sluggish and low-tuned music. Best moments of the album: Astral Death is my favorite of the two songs, but Astral Birth is also pretty amazing. This entry was posted in 2017 New Releases and tagged astral birth, astral death, astral: death/birth ep, big dog, dö, deaf hank, den ep, doom metal, finland, hellsinki, helsinki, joe e. deliverance, stoner metal, tuho by Gustavo Scuderi. Bookmark the permalink.